CCTV cameras play an invaluable role in keeping people safe at home, at work and in the wider community. We often see footage from security cameras being used to identify perpetrators or to help investigators gather evidence. We also know that the visible presence of CCTV cameras is an effective deterrent to criminals. But while much is said about the value of CCTV and they are a very popular home security solution – the placement of the cameras isn’t always given the attention it needs. The positioning of the cameras is crucial as it determines whether the cameras will provide adequate surveillance, enable a secure living environment and provide the appropriate level of protection against would-be criminals. Even the best security cameras on the market may not be fully effective if they’re positioned in the wrong place or at the wrong angle, so it is highly recommended that you get professional advice before going ahead with the installation. Essentially, every door or window is a potential access point for a burglar to enter your home so you may need multiple cameras to cover all areas. In terms of placement priorities, the front door is the most important area but it’s also the most obvious. Installing a camera at second-storey level can avoid the possibility of the camera being tampered with or vandalised. Also, experienced criminals sometimes avoid the cameras at the front door by seeking out more concealed access points which is why some security professionals recommend installing several cameras around the property to ensure full coverage. Generally, the cameras should be set to capture views about the size of the average door and should be angled downwards to ensure clear, crisp images. Night vision is another feature to look out for if you’re considering installing home security cameras. The type of security camera that you choose will also influence the placement. For example, you may want a pan-tilt-zoom (PTZ) device which you can control remotely – and the positioning of that camera may be different to the positioning of a static device. Some CCTV cameras also have motion-detecting capabilities and floodlights so you may want to position these to cover your backyard, driveway, external gate etc. Wide angle cameras need to be placed where they can ‘see’ a range of between 75-1800 without obstruction whereas a regular camera with a focus range between around 45-750 needs to be aimed towards a specific area. Modern technology also means that many camera systems can be connected to digital video recorders which allow 24-hour recording onto large hard drives. 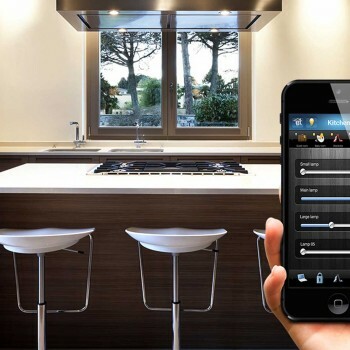 It’s also possible to have live security camera monitoring from your computer, smart phone or mobile device which is very handy when you’re on holiday or simply just want to keep an eye on your property. When they’re positioned correctly in strategic locations, CCTV cameras are an effective home security solution. But they’re even more effective when they’re integrated with other home security products like home alarm systems and sensor lighting and it can be worthwhile discussing your needs with security experts to make sure your home and your loved ones have 3600 security. Crown Security is known for home security systems and CCTV cameras in Perth and they can advise you on the most suitable placement of your cameras. Whether it’s a simple hardwired video camera link to your intercom or a wireless, multifaceted solution, they’ll have a solution that meets your requirements and you can find them on 08 9400 600 or at www.crownsecurity.com.au. 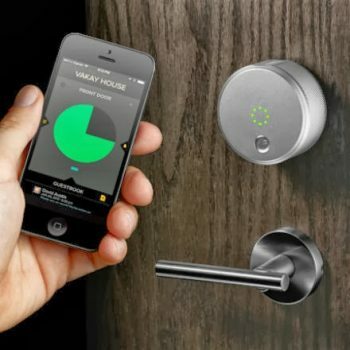 What Are Smart Security Systems?